MacShiny antivirus toolkit able to detect many types of malicious software, including viruses. The Internet is dangerous place to surf without reliable protection. A huge number of malware, viruses and unsafe websites that harm the system and steal your confidential data. 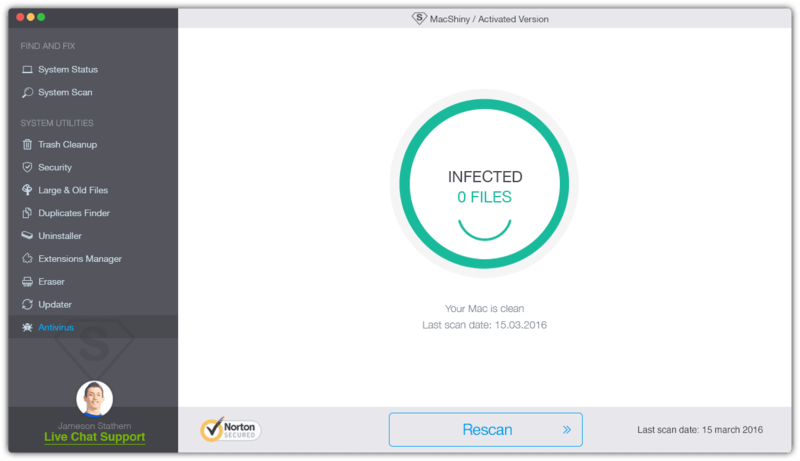 Protect your Mac with Macshiny Antivirus! 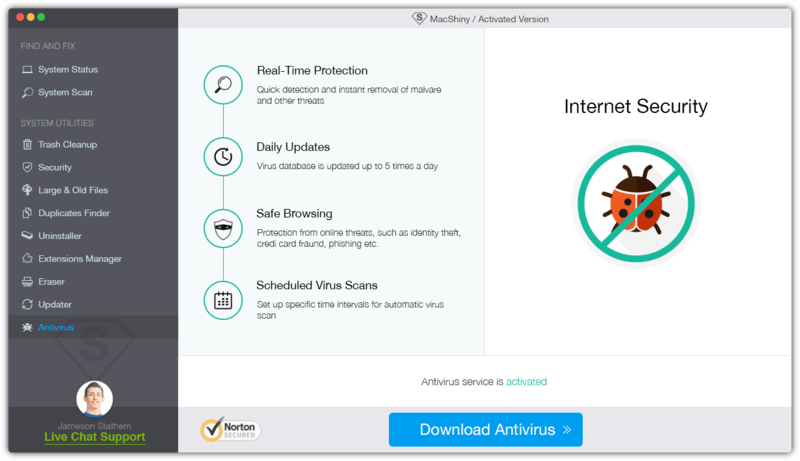 Integrated anti-virus protection will provide a safe Internet surfing, protect data from unauthorized access, detect and eliminate potential threats and protects your Mac against malware and trojans. MacBook and iMac 100% compatible. Copyright C 2016 MacShiny. Perfect for Mac OS X. All rights reserved.